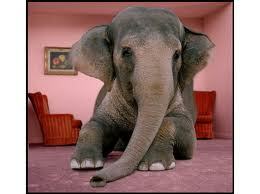 FTC’s Standards-Essential Patent Settlement: The Real “Elephant” in the Room? Perhaps that elephant was in the FTC press room last Thursday after all, however, in FTC’s resolution of its other investigation involving Google. Though it was completely unrelated to FTC’s online search practices inquiry, Chairman Leibowitz announced the same day that a formal Complaint and a Proposed Consent Order had been filed involving Google-owned Motorola Mobility’s standards-essential patents (SEPs). Regulatory Turf/Muscle-Flexing? FTC Act Section 5 provides the Commission with a unique regulatory weapon, and the Google SEPs case offered it a seemingly undeniable opportunity to sharpen this tool while also one-upping its counterparts at the Justice Department. When announcing its approval of Google’s purchase of Motorola Mobility last February, DOJ-Antitrust expressed “concern” that the company’s commitments to FRAND licensing of SEPs were “ambiguous” and that “how Google may exercise its patents in the future remains a significant concern.” Such concern did not rise to the level of a violation of the Sherman Act, so DOJ could only wring its hands. It’s unclear exactly why FTC initiated the Google SEPs investigation, but it’s fair to imagine that DOJ’s decision played some role. And because FTC could pursue a “stand-alone” Section 5 action, it wasn’t deterred by the inability to bring a Sherman Act case. Section 5 grants FTC the power to deem business acts or practices as unlawfully “unfair” even if they aren’t illegal under other antitrust laws. Unfair acts and/or unfair methods? The Commission’s statement on the Google consent decree reflects that a majority of the Commissioners found the company’s pursuit of injunctions were both unfair acts and unfair methods of competition. Commissioners Ramirez and Ohlhausen dissented from the “unfair acts” claim because the claimed injuries “are a significant departure from the type of injury contemplated” by past Commission policies and actions. In his separate statement, Commissioner Rosch strongly supported the concept that standard-essential patent holders who pursue court injunction breach their contracts with the standard setting bodies, and such a breach thus constitutes an “unfair act” under Section 5. A Noerr-Pennington Concern? As she did in her Bosch dissent, Commissioner Ohlhausen argued in Google that Motorola’s assertion of patent rights in court, even if FRAND commitments were involved, constituted First Amendment-protected activity immune from antitrust action under the Noerr-Pennington doctrine. The four-Commissioner majority’s response was that “we have reason to believe that MMI willingly gave up its rights to seek injunctive relief” when it made FRAND commitments. They supported this belief in Google, as they did in Bosch, by invoking an “increasing judicial recognition” of FRAND commitments being legally incompatible with court injunctions. In addition to one Federal District Court ruling cited in Google, they cited a Ninth Circuit case where the FRAND legal matter wasn’t directly at issue, and one other District Court opinion (albeit written by Judge Richard Posner sitting by designation). Whether FRAND-encumbered patent holders should be able to seek injunctions is a critically important policy issue, and as a matter of policy a prohibition may make perfect sense. But one can reasonably question whether a federal agency’s “belief” of an “increasing judicial recognition” of that point is enough to justify looking askance upon a company’s First Amendment petition rights. A “template for the resolution of SEP licensing disputes”? The four Commissioners felt so good about their accomplishment in the Google case that they made that very declaration about it in their accompanying statement. Perhaps the framework that they created requiring mandatory court or arbitration tribunal action to set the licensing terms for SEPs may be a good template, though at least one commentator has questioned whether it represents progress. But in writing that, did they instead mean that FTC’s action against Google, and its application of FTC Act Section 5, is the “template”? Those who are subject to the Commission’s broad “unfairness jurisdiction” certainly better hope that’s not what they meant.